Epic Games has officially rolled out patch 1.8.2 for 'Fortnite' which include the Bush consumable. 'Fortnite' update introduces the Season Shop. 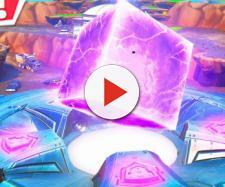 Epic Games has just rolled out a new update for their co-op sandbox shooter - "Fortnite." The latest patch has ushered in new items and tweaks within the game including a very interesting consumable. Also, a fan pointed out what he calls, "a major flaw" in the game which made him stop playing the title. "Fortnite" patch 1.8.2 brought in an item that gives players the ability to disguise themselves. Per the latest patch notes, the Bush consumable allows players to hide and creep around the map and sneak up on unsuspecting enemies. 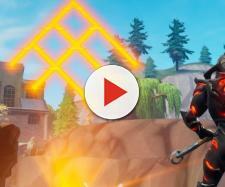 However, it was mentioned that the new consumable is a "one-time use item that is destroyed if the player wearing it takes any damage, including damage from the storm," not to mention that its rarity was deemed as legendary. This new consumable can only be obtained by visiting supply drops or opening chests. 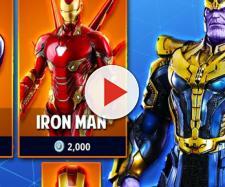 The recent update also introduced Season Shop where "Fortnite's" Battle Royale stuff can be bought. However, players need to reach a certain level in order for them to purchase these items. The first season items include the Aerial Assault One Glider, the Aerial Assault Trooper and Renegade Raider outfits, and the Raider's Revenge Pickaxe. For an in-depth look at this new update, one can check Epic Games' official website. Meanwhile, a Redditor (Ralathar44) recently posted a lengthy note over on "Fortnite's" subreddit. The fan claims that the third-person shooter becomes "less engaging and less diverse" as players level up. He pointed out a number of elements within the game that he claims "nosedive" every time a player's level progresses. Per the post, the fan stated that weapons tend to be less diverse due to "leveling requirements and rarity RNG." Melee weapons' viability goes down adding that these weapons are "asking for death more and more the higher players go." The Redditor also highlighted that new useful loots – including a number of loot players, tend to go down as well. He even took notice of "Fortnite's" Mission Selection, stating that it's somewhat enforced creating a "conflict of interest" on how players would want to play the game. Quite a number of players seem to agree with what the Redditor posted. Some of them revealed that they too took some time off from playing since all that they've been doing is to wait for daily quests to arrive. Check out a video about "Fortnite" below, featuring the rocket surfing exploit which is a current fad in the game.